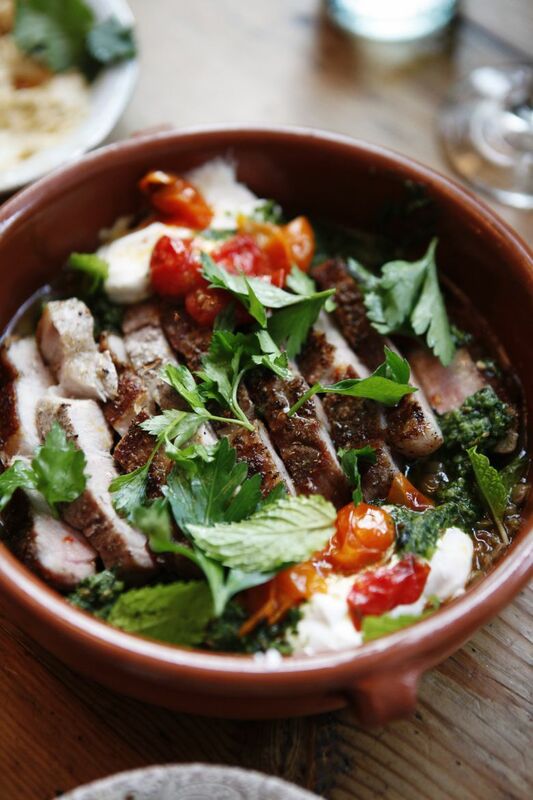 At Homer, a two-month-old Middle Eastern/Mediterranean restaurant, Logan Cox (formerly of Sitka & Spruce) is weaving all kinds of culinary magic. 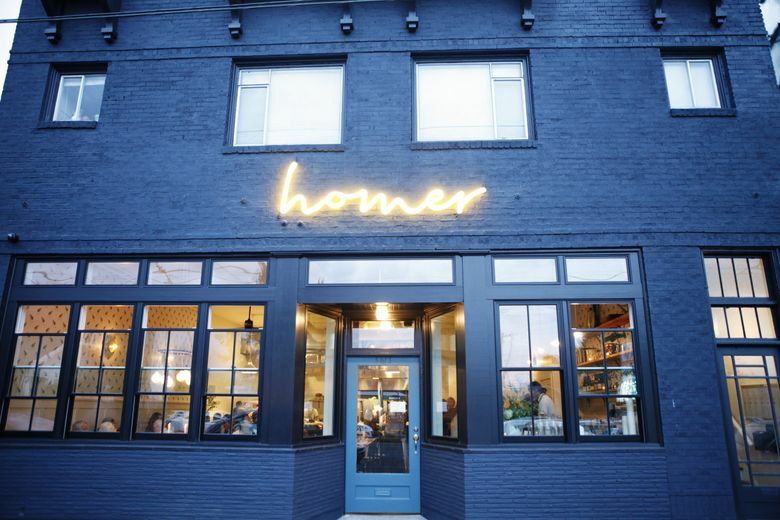 The bad news: Getting a seat at the two-month-old Beacon Hill restaurant Homer requires patience, persistence and planning. The good news: It’s worth the machinations to experience the voluptuous cooking of chef Logan Cox. In his own kitchen, Cox picks up where he left off after four years as chef de cuisine at Matt Dillon’s Sitka & Spruce. His multifaceted set pieces center on plants and proteins enhanced with char or smoke from an expansive brick hearth and a rotund, Venetian-plastered, wood-fired oven. 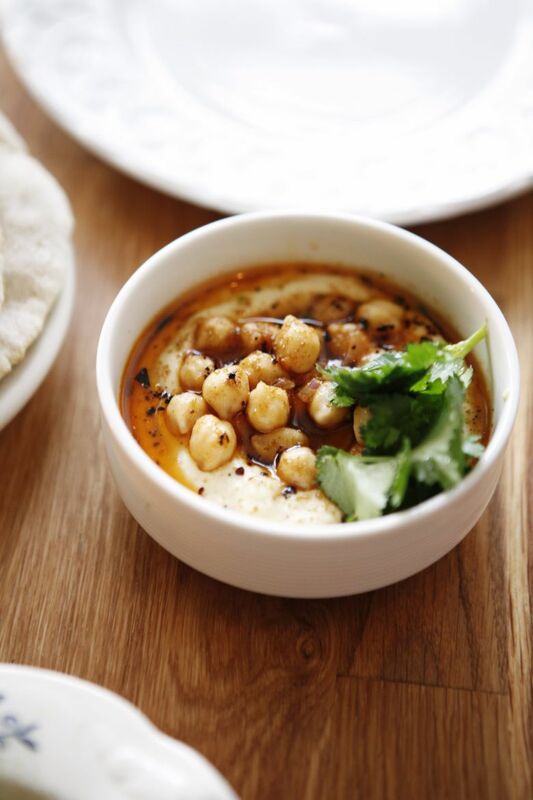 Drawing inspiration from Mediterranean and Middle Eastern cultures, Cox deploys pungent, peppery spices; gentles them with yogurt, whey, fresh cheeses or tahini; then liberally strews nuts, seeds or fresh herbs over all. The menu is vegetable heavy and the bounty is seasonal. Right now, he’s pickling kohlrabi, caramelizing sunchokes, charring cabbage, grilling beets and roasting squash. Vibrant salsa verde, made of cilantro, parsley, mint and fennel fronds, punches up those crunchy, sweet-and-sour pickles, and gives a similar kick to mild-mannered sunchokes sharing a plate with tahini and fresh pear. Peanuts, mint and za’atar embellish heretofore humble cabbage, transformed by fire into a dashing partner for elegant stracciatella cheese (burrata without boundaries). Whipped feta and fennel cozy up to red kuri squash. 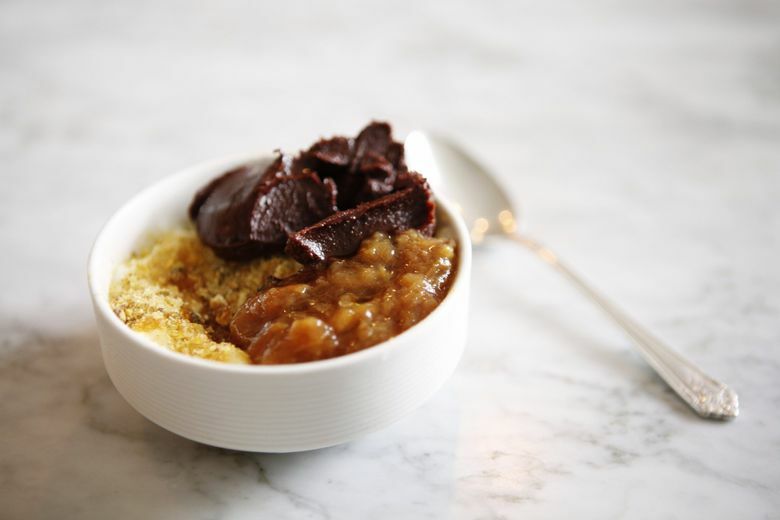 It tastes a little like chestnuts and is especially nice drizzled with date syrup and garnished with pickled squash curls. As for the beets, my only complaint is that there was too little of the sauce — raw pumpkin seeds puréed with honey, lime and ginger — that made them soar. These so-called “small dishes” are quite substantial. Not all of them are meatless. Lovely lamb-and-pork meatballs are braised in tomato sauce sweetened with dried fruit, capped with tomatillo slices and dabbed with yogurt. But meat and seafood mostly fall under “larger plates.” Pork belly with apples is a classic pairing, beautifully rendered — a matchup of shatteringly crisp skin versus yielding meat and salt-roasted fruit on a playing field of lentils and yogurt. Yogurt finds its way into so many dishes the restaurant uses about 16 gallons of milk a week and ends up with a lot of leftover whey. The whey is used to braise lamb ribs that were extraordinarily tender but also extremely fatty. Chanterelles stewed in whey accompanied coho salmon topped with borani, an Iranian dish of greens creamed with yogurt and the one dish that was off-kilter. The borani, made with kale, and forcefully flavored with coriander, fenugreek, garlic and ginger, overwhelmed both the fish and the delicate mushroom stew. I’d have loved it as a side dish, though. Cox has a knack for mixing magic potions. As evidence, try any (or all!) of the four spreads: cumin-laced hummus; labneh topped with tomato and mint; the fruity, chile-stoked twist on Syrian muhammara made with squash (instead of red pepper) and walnuts; and luxurious lamb ragu stirred into tahini. Thick, fluffy, oven-blistered pita rounds accompany those spreads. (The brawny buckwheat sourdough, also house-made, plays second fiddle.) They roll and bake the pita to order but always have a few dozen ready to accommodate the rush when the restaurant opens. 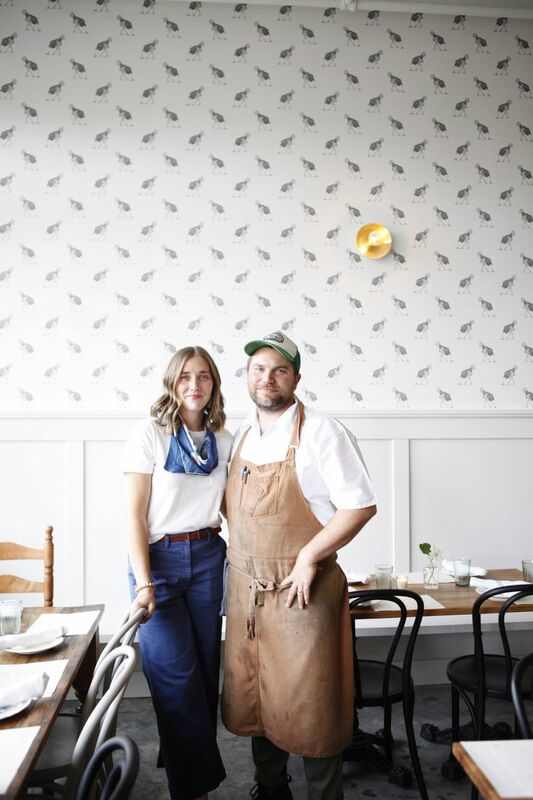 The 50-seat restaurant has been so popular that on most nights more than 150 people rotate through the blue-and-white, charmingly wainscoted, whimsically wallpapered dining room conceived by Sara Knowles, Cox’s wife and Homer’s co-owner. (The couple named the restaurant after their dog, by the way, not the Greek poet.) It takes a while to register that the repeating pattern on the walls is of ostriches with their head in the sand. It takes no time at all to notice the noise level, which is deafening despite sound absorption panels behind the walls. An interior designer by day, Knowles is at the restaurant most nights lending a hand to the front-of-the-house team led by the unflappable Ahmed “Suli” Suliman. 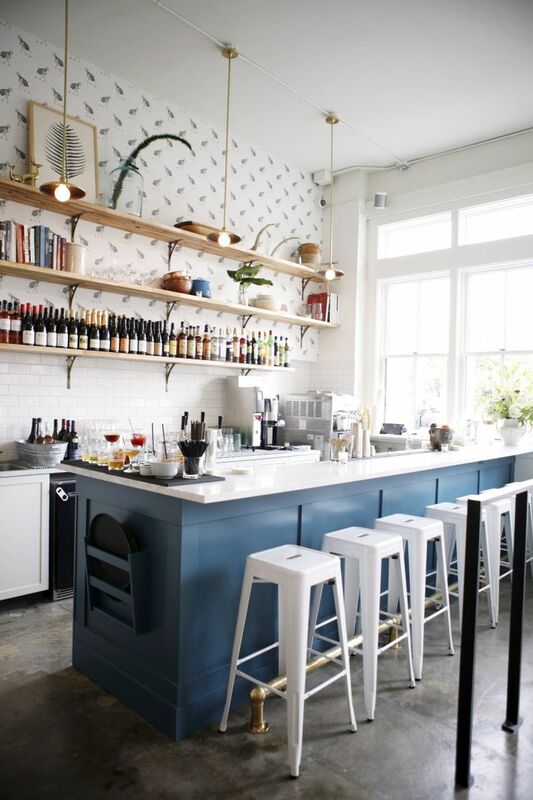 A veteran of Salare, Vendemmia and Sitka & Spruce, Suliman is the calm at the center of the storm and the keeper of the clipboard that hangs from a nail on a post near the front door of this former yoga studio. It’s how he tracks the waitlist, seating everyone in the order they’ve come, but only if the whole party is together. Service was very smooth and well-paced at a table, bumpier at the six-seat bar, where the busy bartender, clearly new, doubled as the waiter. To their credit, servers don’t rush diners, so go ahead, finish that bottle of wine and say yes to ice cream or a chewy, warm, chocolate-y, date-sweetened cookie with whipped cream on top. Homer only accepts reservations for parties of eight or larger. On a Thursday night at 7:30, I waited half an hour to snag a couple of seats at the bar. On a Saturday night at 6:30, there was a two-hour wait. A person can go elsewhere in the neighborhood for a drink, or spend that time standing around sipping a Lambrusco Spritz, an Angostura Daiquiri or a bitter, bourbon-based Brownsteine ignited with the Turkish chile pepper Urfa biber. In warmer weather, drinks can be ordered at a walk-up window and enjoyed at one of the sidewalk tables. The window also dispenses their house-made soft serve ice cream to-go. Tahini is usually one of the two flavors; the other varies. Chocolate bay leaf and apple butter caramel have rotated through. Pro tip: Get the swirl. Everyone does. But let’s be real, no one wants to hang outside in November. What’s a good strategy to avoid a wait? Come after 8, or get there right at 5 p.m., Suliman advises customers. So, at 4:55 one Sunday night I joined a few others already clustered at the entrance. We easily snagged a four-top, but by 5:15 every table and every bar stool and all 10 seats at the kitchen counter were occupied. At 7 p.m. when I left, it was still SRO and the wait quoted to new arrivals was an hour and a quarter. I doubt Homer’s popularity will wane any time soon. I hope the neighborhood has patience to spare.